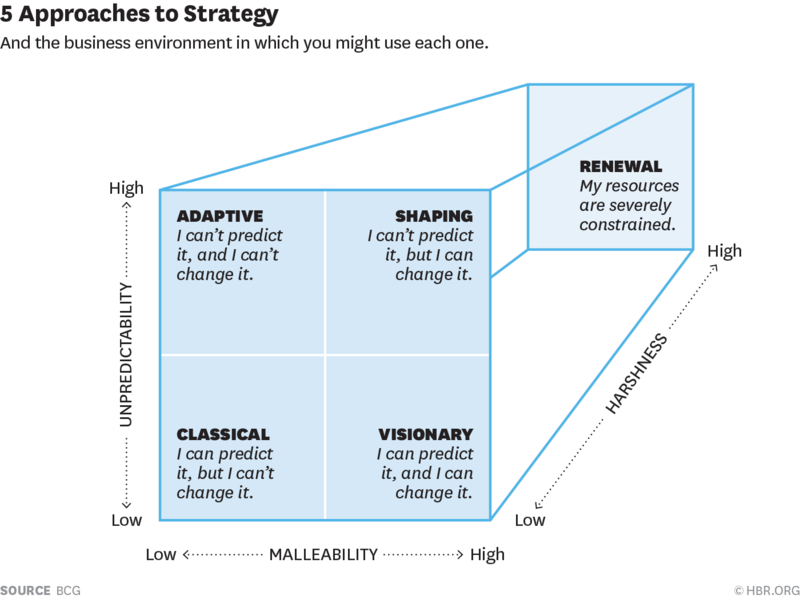 A new HBR article explores the rapid proliferation of strategy frameworks over recent years. From Ansoff (1958) and Scenario Planning (1962) to 5 Forces (1979) and McKinsey 7S (1982), S-Curves (1986) and Mass Customisation (1992) to Profit Patterns (1999) and Value Innovation (2004), Business Models (2009) and Adaptive Advantage (2010) to Algorithmic Strategy (2013) and Transient Competitive Advantage (2013). The article “Navigating the Dozens of Different Strategy Options” categorises these different approaches, and which are most appropriate for your business. So before you jump into your next strategy process, consider your environment, and which approach to strategy is best for you.